Is your Headliner Sagging or Torn? 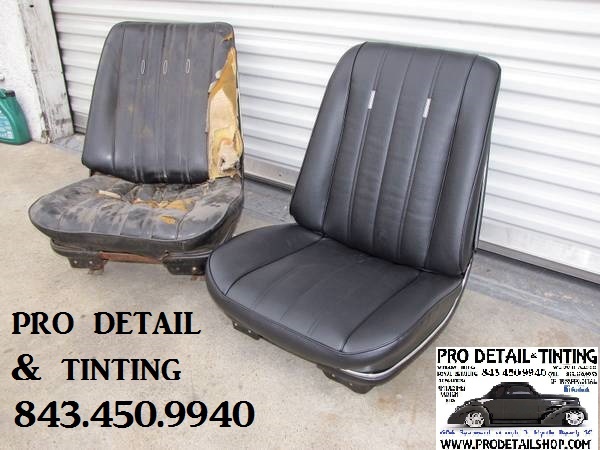 Many try to repair sagging headliners with glues, pins, etc.. These are only temporary fixes that sometimes cost almost as much as just doing it correctly in the first place. The headliner will continue to sag because the foam layer between the fabric and headliner board is dryed out. This is caused by constant heat on the roof of the vehicle. The truth is when a headliner starts sagging it must be replaced. 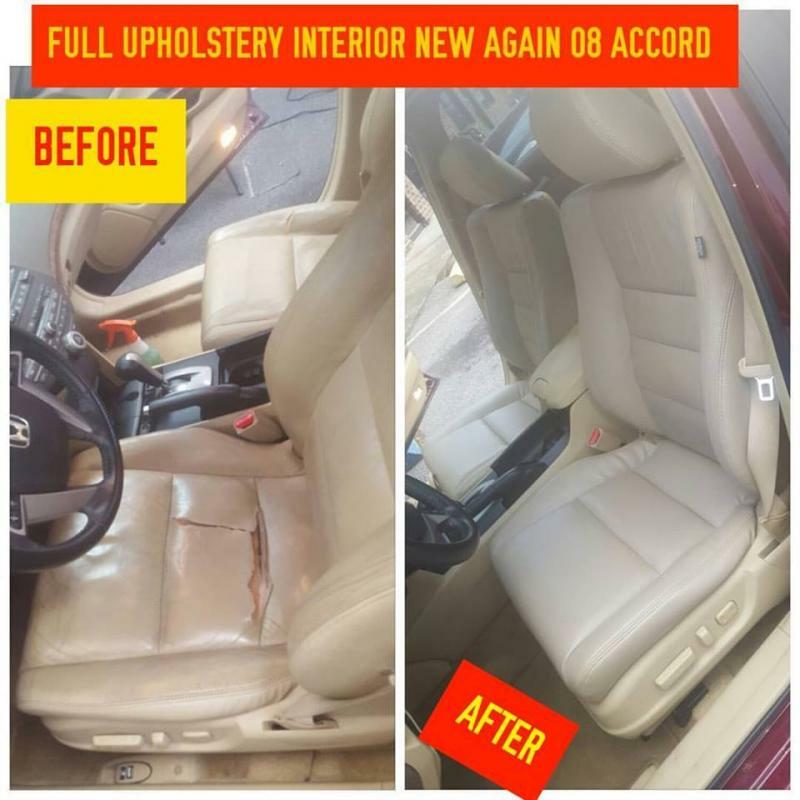 We can Make your torn Interior new again , Full seat covers , arm rest , center console, sunvisors, Doorpanel, Carpet , we can do it all. we are as all of our services using top materials High grade Marine Vinyl , Leather , cloth and suede , let us know what fit for you , and also we can custom it all the way and make your dream come true. First we remove all visors, lighting, roof consoles, grab handles and trim that hold the headliner in place. Once the headliner is out of the vehicle, the fabric, foam and glue is removed from the headliner backing board. Once the backing board is thoroughly cleaned, we apply adhesive and install the new headliner fabric. Once the adhesive is cured, the headliner is reinstalled. 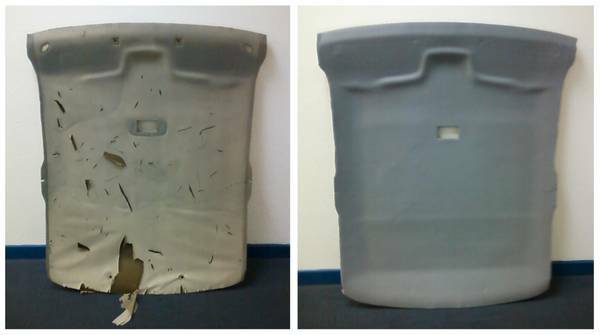 Buses, Large Vans and Limos: Call us for a price quote..
*Does not include sunroof fabric replacement. 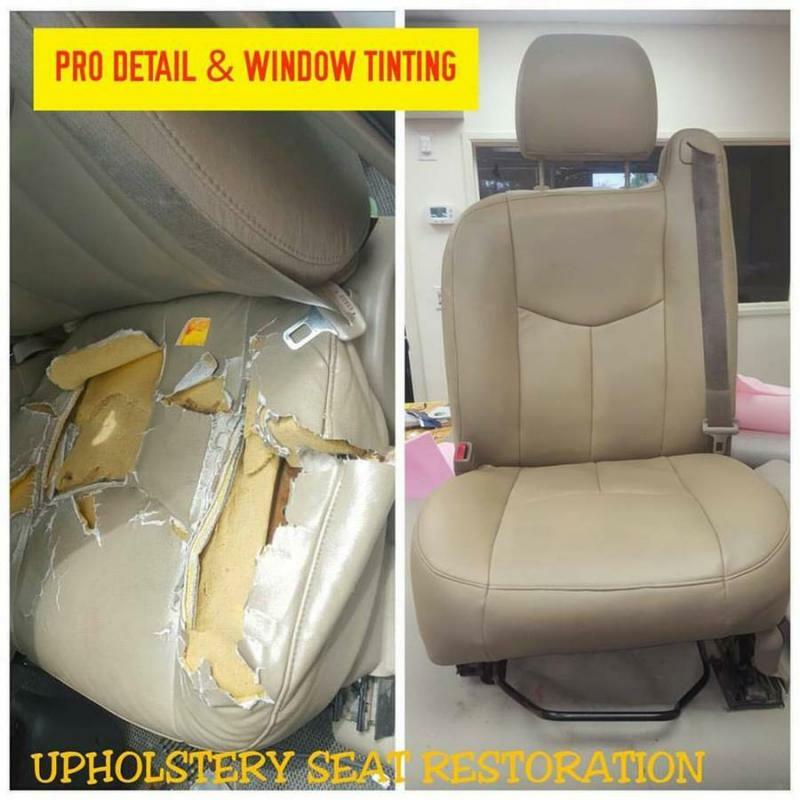 *Contact us for pricing on sunroof fabric replacement.